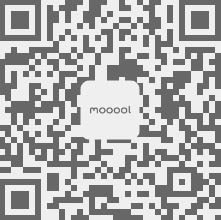 Thanks A-I-R Architects for authorizing the publication of the project on mooool, Text description provided by A-I-R Architects. 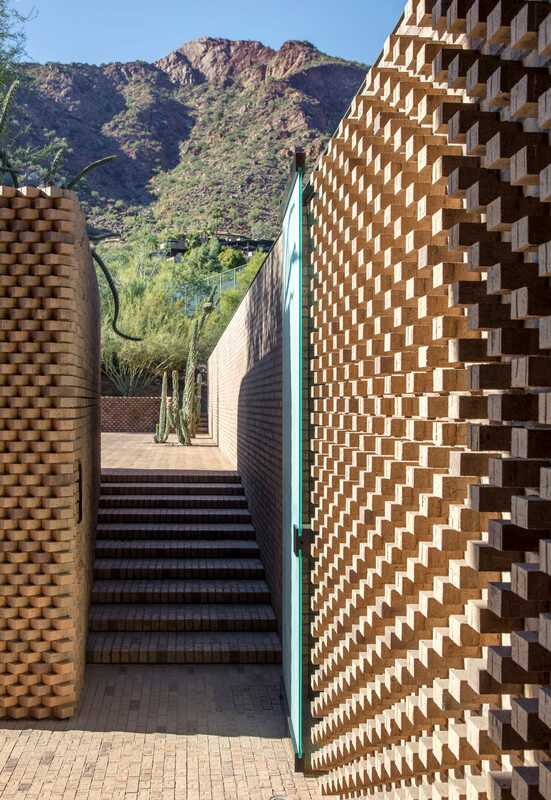 A-I-R Architects：The Ghost Wash House is located along the lower hillside on the north side of Camelback Mountain in Paradise Valley, Arizona. 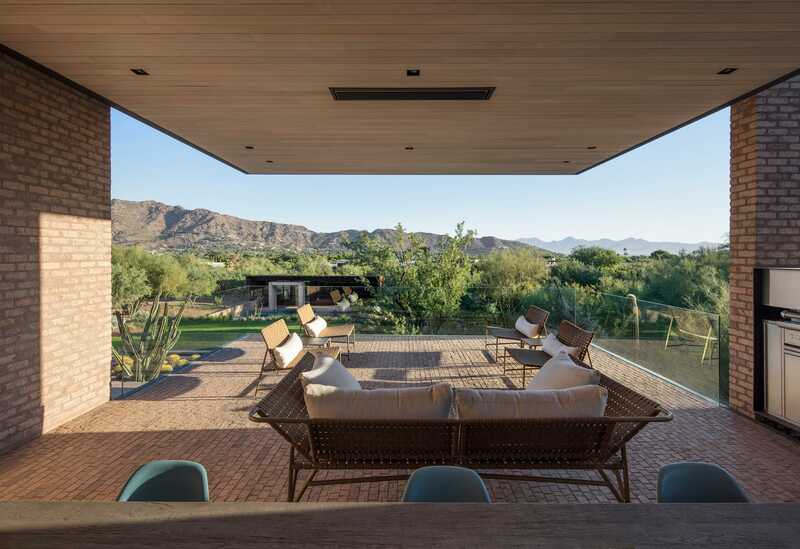 The site is flanked by two desert washes that move storm water from the top of this urban mountain into the valley below. 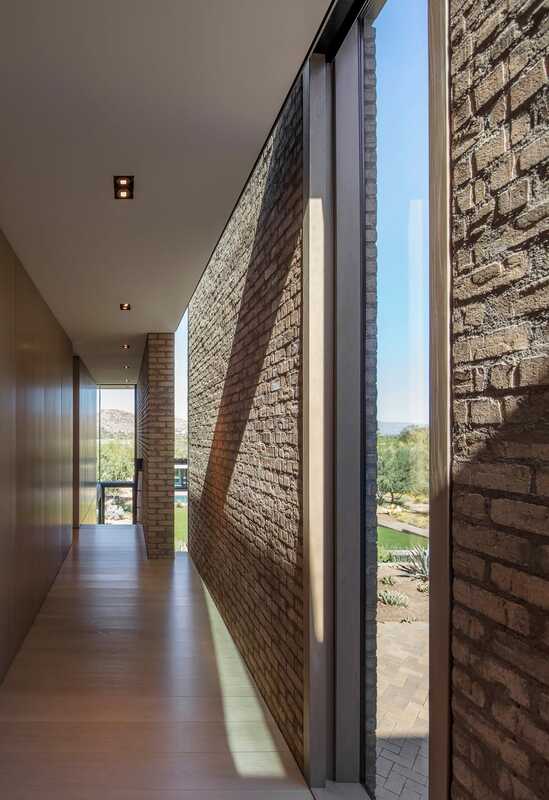 Two long, thin tumbled brick bars run parallel to the east and west natural washes framing a third topographic condition or “Ghost Wash” that runs down the center of the site. 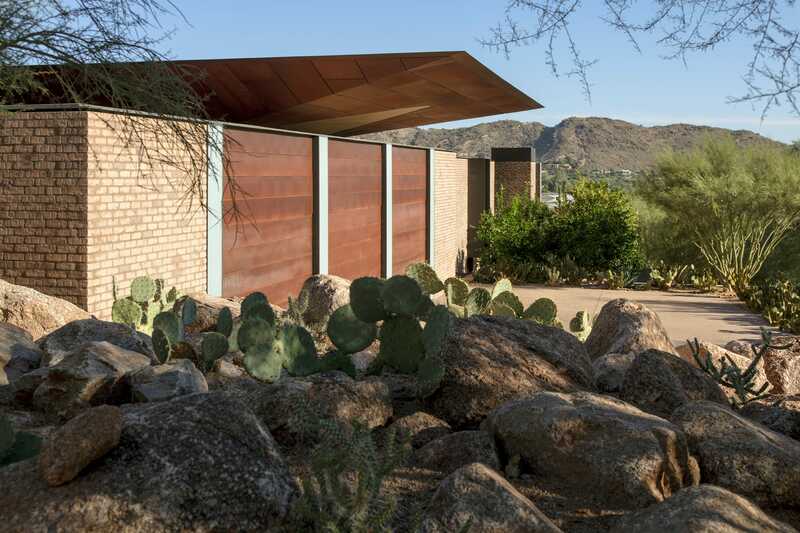 The east bar protects this architectural wash from the low desert sun that streams across the mountain in the morning. 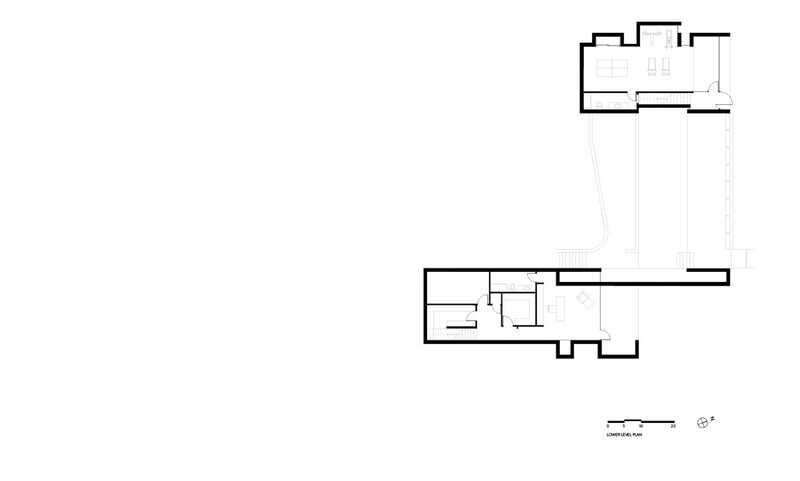 This bar houses the public ‘support’ programs of the house: garages, kitchen, office, and family dining room. 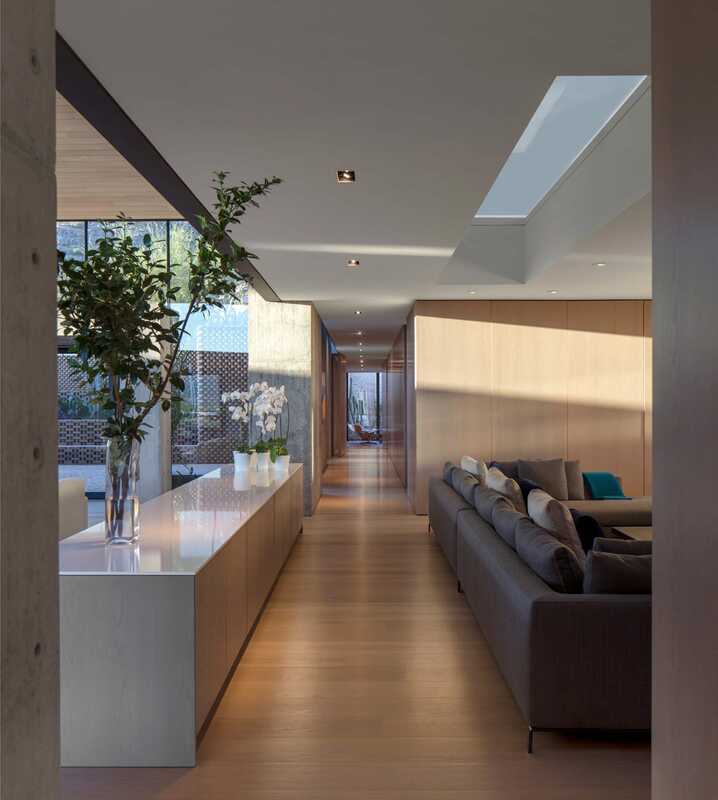 The west bar shields the occupants from the intense hot low west sun as it sets in the valley. 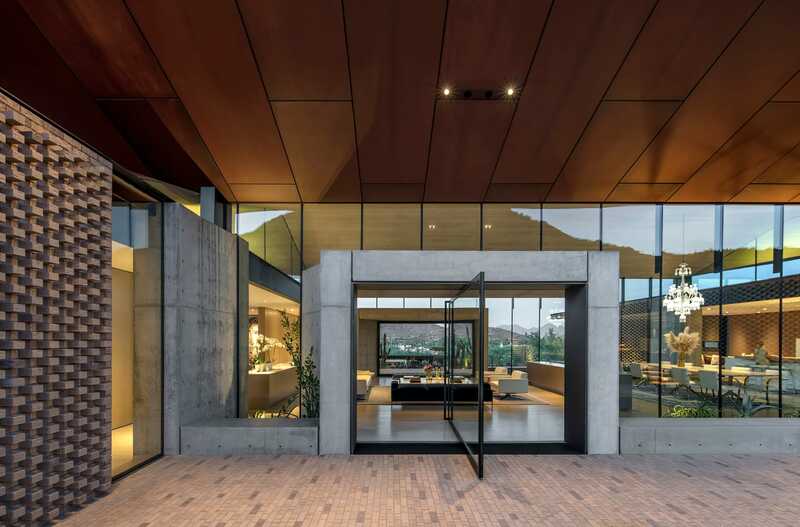 It houses the private programs of the home: bedrooms, family room, and recreation space. 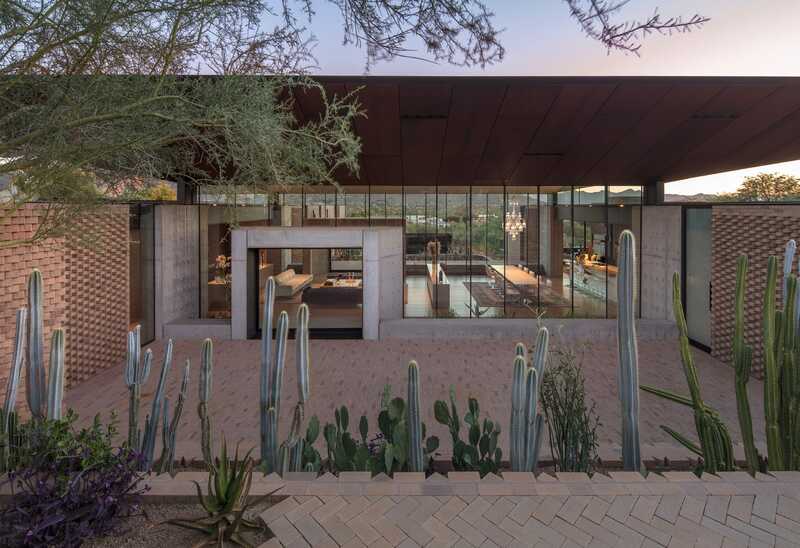 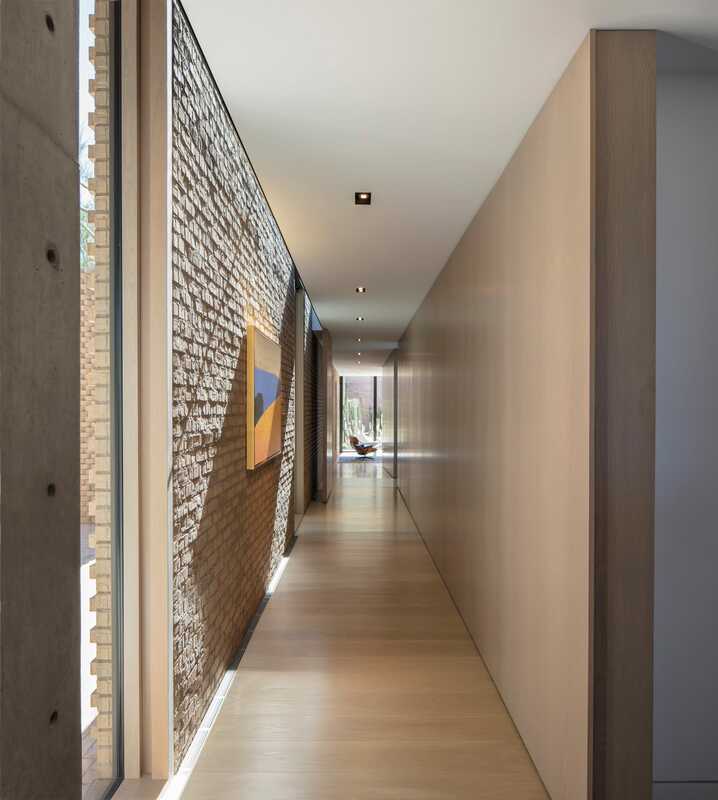 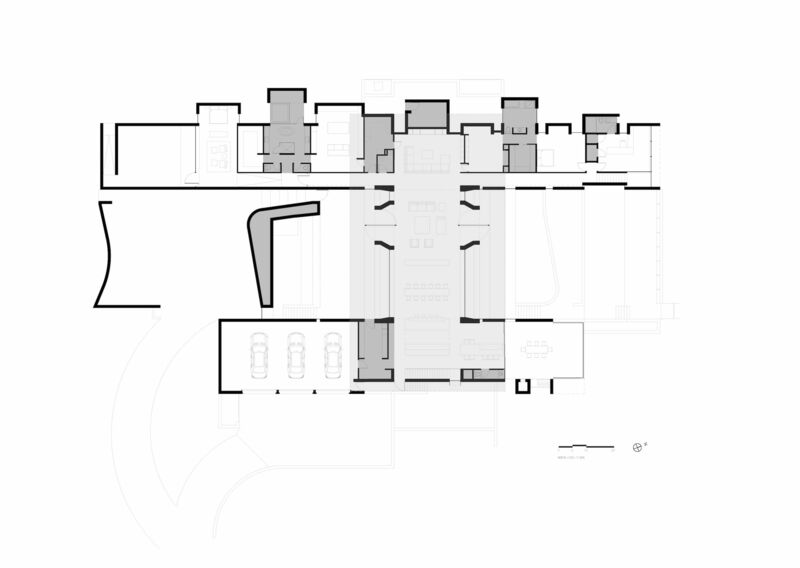 The living and dining room make up the interior of long sequence of courtyards, gardens, and play areas that unfold along the Ghost Wash from the south entry to the north pool house. 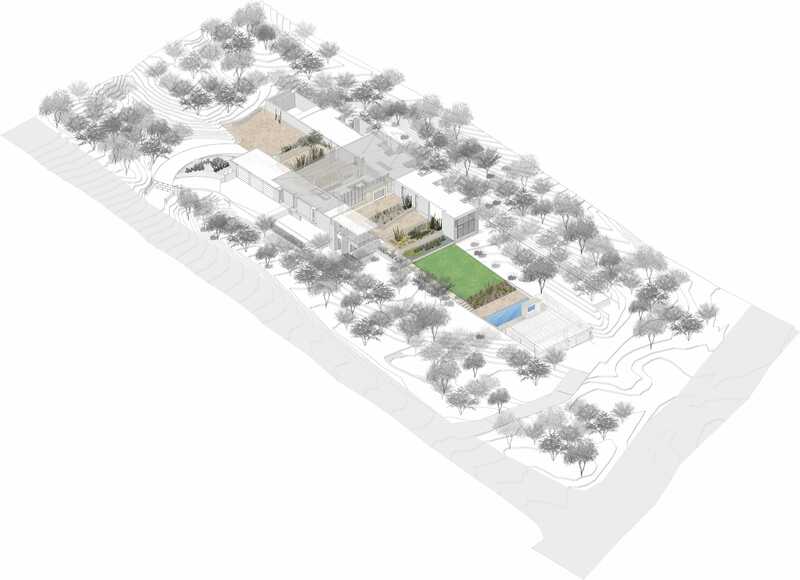 This linear amenity is punctuated by a massive floating roof that provides the infrastructure of storm water collection and solar power to the 8,500 sq.ft. 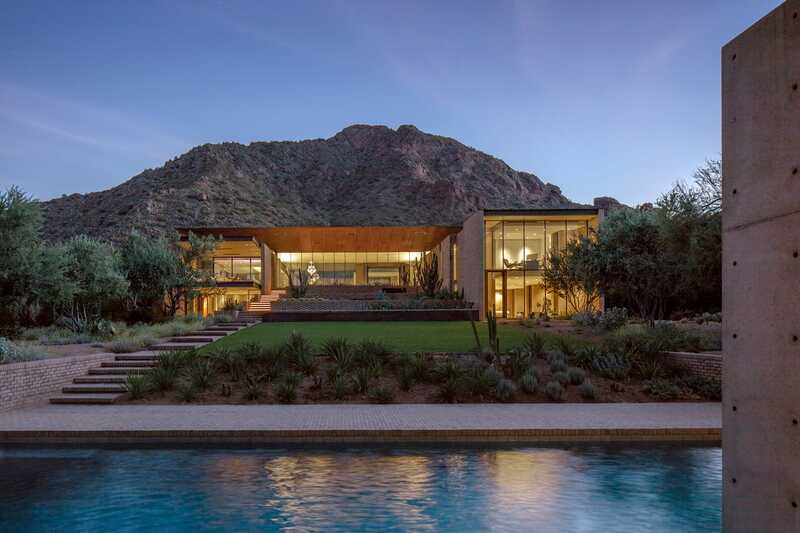 house and landscape. 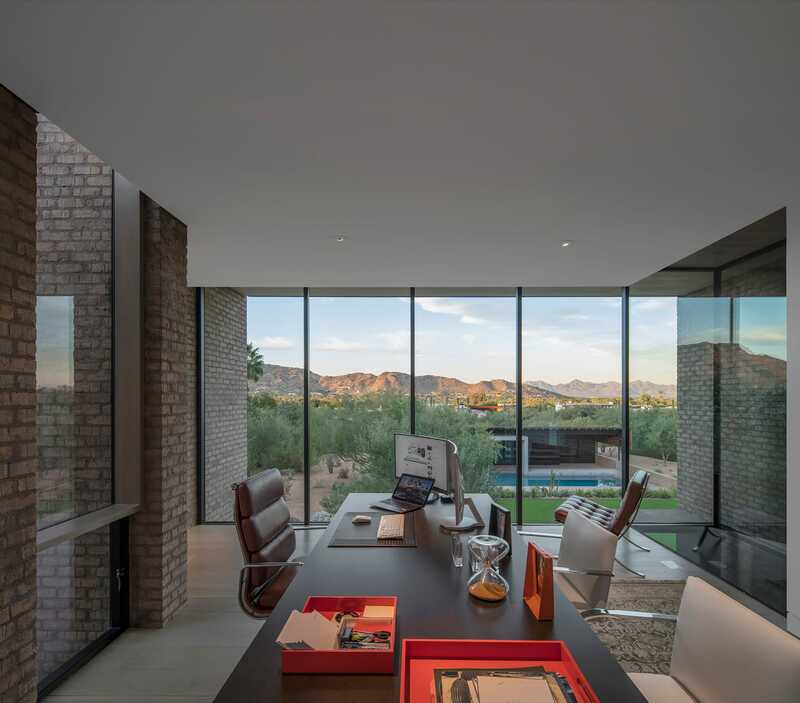 As the primary organizing device for the house this central amenity infrastructure takes its cues from the nature of the Sonoran Desert. 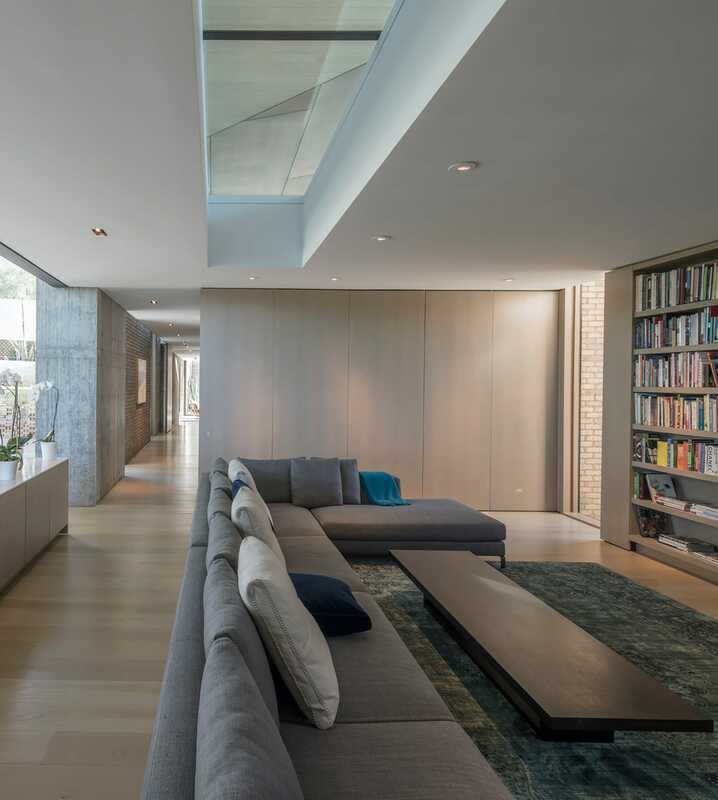 Similar to the nurse tree that shields a young cactus from the extreme heat and sun, the large roof protects the primary living spaces of the house (kitchen, dining room, living room, and family room). 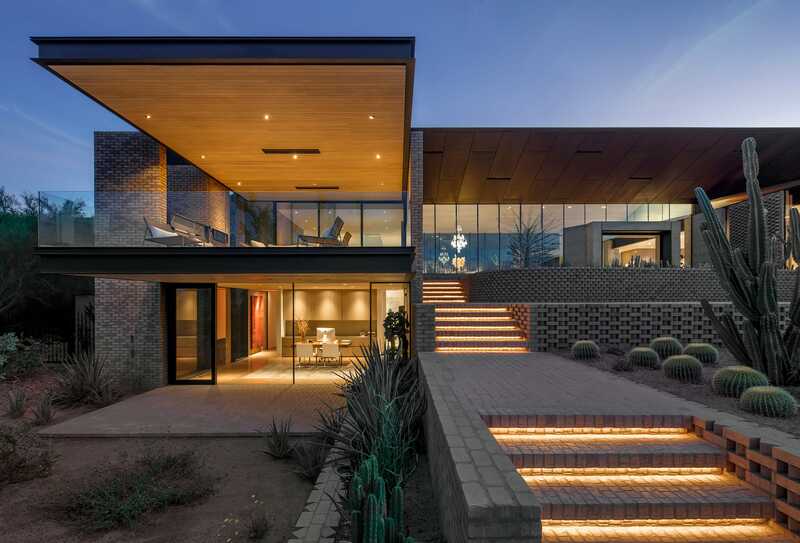 Its shade, power, and water both physically and symbolically nurture the life of the house. 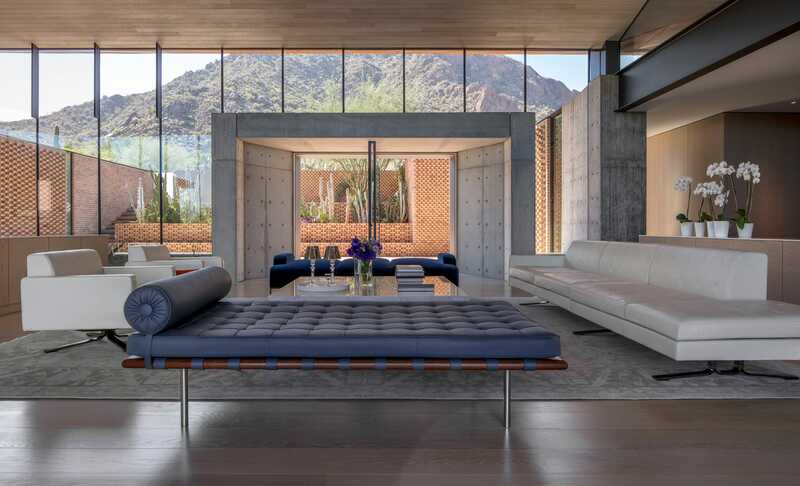 In much the same way that desert washes provide a habitat and an ecosystem that facilitates desert life and connectivity, the Ghost Wash protects, connects, and facilitates the indoor and outdoor life of the residence. 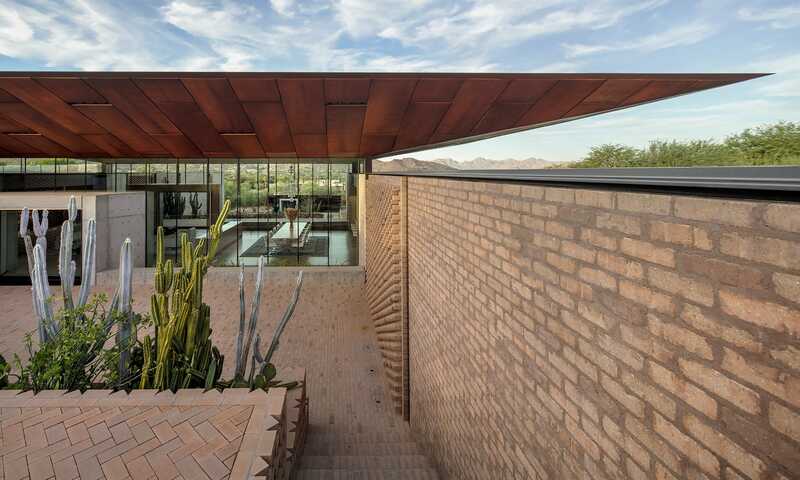 The Ghost Wash House is not a house in the desert, but a house of the desert.